Born in 1836 at Kamarpukur in West Bengal, Gadadhar Chatterjee was never formally educated but could read and write Bengali reasonably well. Though he was the son of a village priest, he was unable to read or speak Sanskrit and English. For Gadadhar, popularly known later as Ramakrishna Paramhansa, his upbringing in an environment infused with devotion to Goddess Kali fetched him his first mystical occurrences later in which he claimed to have seen God as the Divine Mother, as Goddess Sita, as Rama, Krishna, Muhammad and Jesus Christ. entire movement called the Ramakrishna Mission. RAMKRISHNA The biggest ideas in life are often expressed in the fewest words. JAICO brings you the best in this series of Thought to Inspire & fancy tributes, but there's magic on these pages, and you won't have to search for it. The teachings of Sri Ramkrishna, the great mystic who is said to have possessed divine powers, has attracted and enlightened the masses. His followers included Narendra Dutta, who later became Swami Vivekananda. 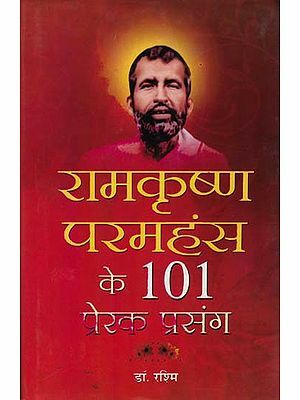 In this book we get a glimpse of Sri Ramkrishna's intense spirituality and pure simplicity.